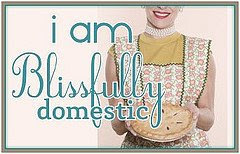 In the world of domestic bliss, I am blissfully frugal. Less so this late in my marriage, but still... frugal. Take the new Big Screen TV craze, for instance. "But mom, everyone has a big screen now!" All this yelling for a big screen, Tom & I finally found a way to give in & be frugal about it. We rearranged the furniture for maxium viewing pleasure. Our new big screen tv! It's a slide projector we hooked up to the computer. I can't wait to watch the Super Bowl now! Added bonus, no extra charge: It makes X-box games X-treme! We had a projector on loan for a while and we LOVED watching movies on the wall of our TV! Enjoy! Who cares where the furniture is? that is very cool! Wish we had it for election results tonight! That's a really good idea! I wonder if you get a good picture during the day! I imagine it's TOTALLY awesome at night though!!!!! Such a cool idea! DH has been wanting one and now maybe we've found a frugal alternative to the uber expensive TV's! that looks like a great idea! That's a very cool idea. Much less costly than buying a flat screen LCD too.